Remember that time when Indian television was flooded with serials with the letter ‘K'? And now that we are done with the obsession and have moved past the Kyunki, Kahani and Kasautis of Indian television, looks like the makers are facing some serious creativity issues as they continue to name their shows after popular songs that won hearts in their heydays. Here's listing 10 latest television shows that are named after famous Bollywood songs. Diya Aur Bati Hum: This show title has been inspired from the song Jeevan Saathi Hum Diya Aur Baati Hum that is picturised on Anil Kapoor and Tabu in the movie Viraasat. Is Pyar Ko Kya Naam Du: This show on Star TV is taken from the song Rabba Mere Rabba in the movie Mujhe Kuch Kehna Hai, which stars Tushar Kapoor and Kareena Kapoor Khan. 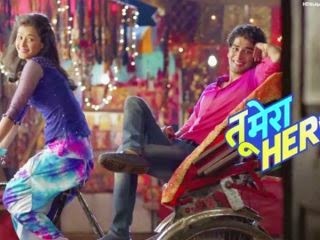 Itna Karo Na Mujhe Pyaar: Sony television’s popular show is named after a song from Salman Khan and Revathi’s hit movie Love called Sathiya Ye Tune Kya Kiya. Yeh Rishta Kya Kehlata Hai: This long running show on the Star TV network, which is also much loved by the audiences has borrowed its name from the Tabu-starrer Meenaxi which has a song by the same name. Tu Mera Hero: The popular song Subah Hone Na De from the movie Desi Boyz starring John Abraham and Akshay Kumar has a line which says, Tu Mera Hero. Tumhi Ho Bandhu Sakha Tumhi: This new TV show on the Zee TV network has been named after a popular song from the movie Cocktail which starred Deepika Padukone, Diana Penty and Saif Ali Khan. The song goes like Tumhi Din Chadhe, Tumhi Din Dhale Tumhi Ho Bandhu, Sakha Tumhi. Pyaar Ka Dard Hai Meetha Meetha: This show title is taken from the film Dard that released in 1981, which has a song by the same name as the show. Dil Ki Baatein Dil Hi Jaane: This show on Sony TV has a title inspired by a song in the film Roop Tera Mastana sung by Kishor Kumar and Lata Mangeshkar. 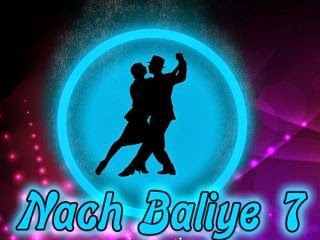 Nach Baliye: The Popular cleebrity dance show which is now in it's seventh season has a title that is inpired from the song Nach Baliye. This song is from the movie Bunty Aur Babli and was choreographed by Shiamak Davar in 2005.